Today there is a huge discussion going on on how digitisation and globalisation will change our societies. On Wednesday April / 4th 2018, 18 h we are invited by MDir Tobias Miethaner https://www.youtube.com/watch?v=02aZXBLxYi0& https://www.bmvi.de/SharedDocs/DE/Artikel/Z/organigramm-digitale-gesellschaft.html, head of division “Digital Society” (ca. 180 collaborators) at German Ministry of Transport for a round table focussing on autonomous driving and its technological and juridical implications. Depending on the questions following the initial statement of Undersecretary (Ministerialdirektor) Miethaner a broader range of topics relating to digitisation could be approached. 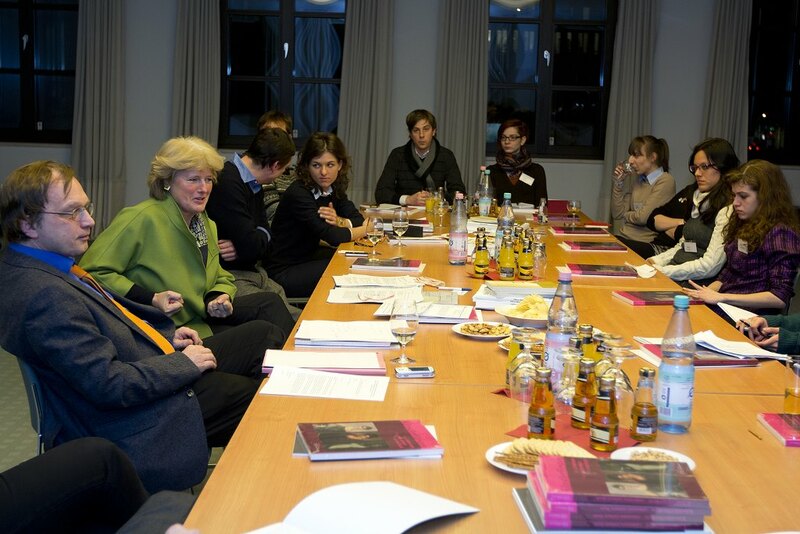 This event is part of the alumni round tables Richard organises from time to time http://berlin-3d-art.de/politische_hintergrundgespraeche.htm (Cover picture, round table with Monika Grütters, now state minister for culture, with a group of DAAD scholership holders in 2013) and is organised within the framework of the internal MPAA network for fundamental questions (http://www.mpg-alumni.de/networks/grundsatzfragen/). All interested in taking part are asked to directly register with Richard richard.schubert@mpg-alumni.de till March/30th. The number of participants is limited to 20, including some colleagues from DAAD (-Freundeskreis). Everybody has to state name, surname, date of birth and will receive a reply stating whether there is a place available or not. Further details and exact meeting point will be included in the confirmation mail. Languages of the event will both be German and English, so that all participants should at least have some passive knowledge of German.